Every Christian should read J.I. Packer's Knowing God. It is a classic that will surely endure the test of time...not to mention it's written by one of the most outstanding churchmen and theologians alive today...Did I mention he attended C.S. Lewis's lectures while a student at Oxford and later as a result gave his life to Christian ministry? Anyway, enough about the author (can you tell he's a hero of mine?). 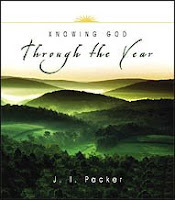 About the book: this is a one-year guide through one of the most treasured books of Christian spirituality: J. I. Packer's Knowing God. Each day you'll read a Scripture and a brief passage about the glory of God and the joy of being in relationship with Him. An idea at the end of each day's reading will help you to respond to God in prayer and reflection. This resource can be used in a variety of ways. Even though this material is designed for groups of three, it can also be used successfully as an individual study, a one-on-one discipling tool or even a small group curriculum. Charles Spurgeon’s Morning and Evening has earned its status as a devotional classic. Generations after Spurgeon's death, Christians are still finding his timeless and original engagement with God's Word to be a refreshing way to begin and end their day. In this yearly devotional, there is literally a very short devotional for the morning and a very short devotional for the evening for every single day. Spurgeon was one of the most noteworthy Baptists in history. If that weren't enough, this particular edition has the touch of one of my favorite pastors alive today as well...Noted pastor and author Alistair Begg has updated Spurgeon's language while preserving the dignity and clarity of Spurgeon's original words and written a nice introduction as well. 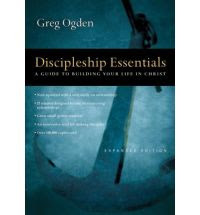 These guides are workbooks that personally take you on a journey to be more like Christ. The aim of this one is to make you more like Christ by doing a focused study on Jesus Himself. It covers everything from Jesus's interactions with those around him to His revolutionary wisdom recorded in the Gospels. 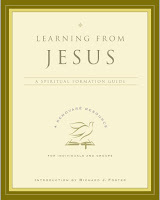 Other titles in the series include "Connecting with God", "Living the Mission", and "Prayer and Worship". The Renovare' website is a great place to find other resources as well. These guides can be used by individuals as well as small groups. 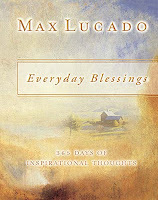 If you love Max Lucado's books, you will be delighted to find this resource. This is a small devotional with very short entries for every day of the year that come straight from the pen of the beloved Christian inspirational author. 365 reflections on individual scriptures in a conversational style that people everywhere have come to love. I own this but haven't really read it entirely, so here's a "canned" description: God intends for every Christian to grow to spiritual maturity. His Word commands us to progress daily toward a fuller personal knowledge of God and Christ. In this book Pastor John MacArthur thoroughly explores a multitude of biblical passages to reveal the riches of God in Jesus Christ--riches that will help us continue growing in both faith and spirit. This noted pastor and author takes readers back to the basics of what the true Christian life is all about, so that they can unlock the treasures God has for them in Christ. Sorry to use the lame "infomercial" language to describe it. John MacArthur is certainly a beloved, well-known, competent author when it comes to spiritual growth, understanding the Bible and theology, etc. Hope these are still proving helpful! This entry was posted on 8/06/2009 and is filed under Discipleship , Growing , Resources , Where Do I Start? . You can follow any responses to this entry through the RSS 2.0 feed. You can leave a response, or trackback from your own site.